Most Jeep suspensions are either meant for off-road use or on road handling. When picking a lift kit for your two door Wrangler JL, you do not need to sacrifice comfort for performance with the Skyjacker 2.5in Long Travel Lift Kit with M95 Shocks with Black MAX Shocks. By using dual rate coil springs, Skyjacker allows the suspension to flex farther and ride smoother. 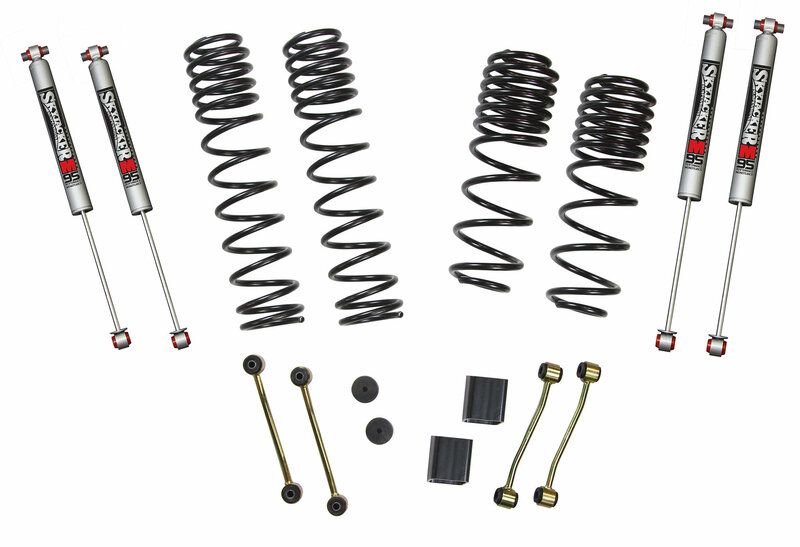 This kit comes complete with extended front and rear sway bar end links, bump stop extensions, and Skyjacker’s signature M95 shocks. 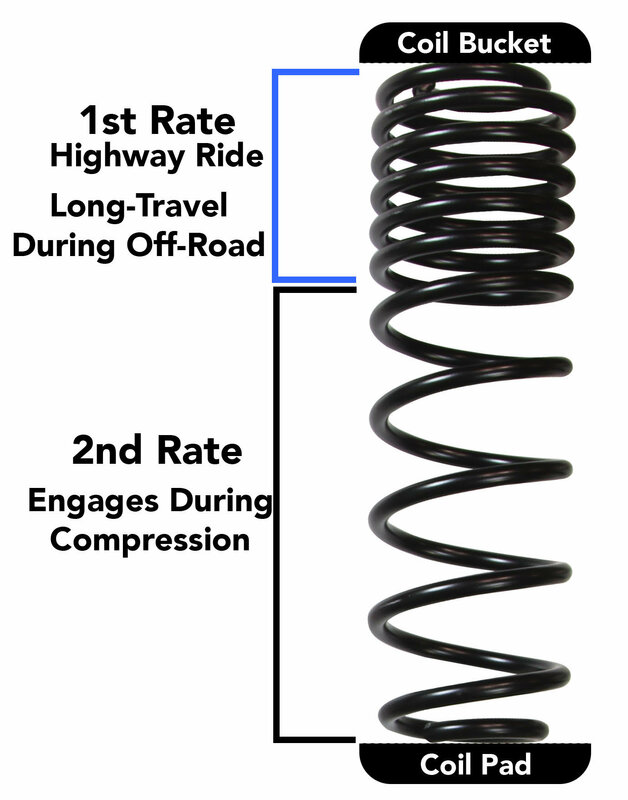 These monotube shocks were designed for off-road performance and handling. The nitrogen gas charged shocks hold up to rapid compressions without fading. M95 Shocks: Skyjacker’s monotube M95 shocks are engineered for off-road abuse. They are valved to withstand rapid off-road compressions without causing cavitation or fade, even under race conditions. M95 shocks provide additional stability and control, especially on rocks, trails, sand, and mud.